The U.S. Department of Transportation’s (DOT) Aviation Enforcement Office has given airlines new rules requiring them to make it clear to consumers whether a flight they are considering booking is a codeshare. Under codesharing, an airline sells tickets on flights that use the airline’s code, but are actually operated by a different carrier. Longstanding DOT rules require airlines to disclose codesharing arrangements to consumers before they book a flight, but legislation adopted in August 2010 has also clarified the requirements for websites that sell airline tickets. The new law makes it clear that when a consumer requests an airline itinerary on the Internet, any codesharing arrangement must be included on the same screen and next to the itinerary. Currently, codesharing on some websites is being disclosed through a hyperlink or when one passes the cursor over a link. Under the existing DOT rules, codeshare disclosure must include the corporate name of the transporting carrier and any other name under which the flight is offered to the public. The department’s Aviation Enforcement Office will give airlines and ticket agents 60 days to modify websites that are now using links for codeshare disclosure to bring them into compliance before instituting enforcement action. In the meantime, it will continue to enforce other aspects of the current rules aggressively, as it has in the past. 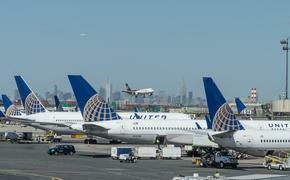 The guidance also reminded airlines that they are responsible for the compliance of their ticket agents, and put ticket agents that provide Internet ticket sales software to travel agents on notice that they must ensure that the software is in compliance with DOT’s rules, including the codeshare disclosure requirements, or risk enforcement action. For more information, visit www.dot.gov.